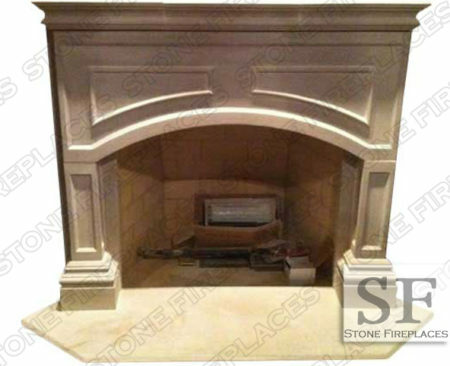 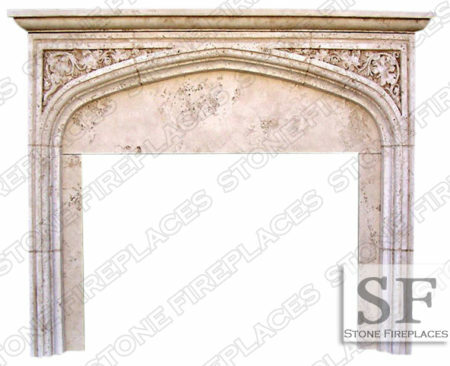 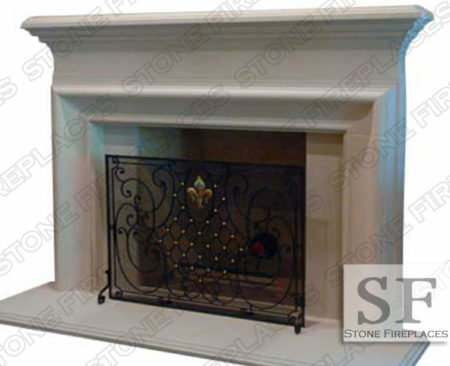 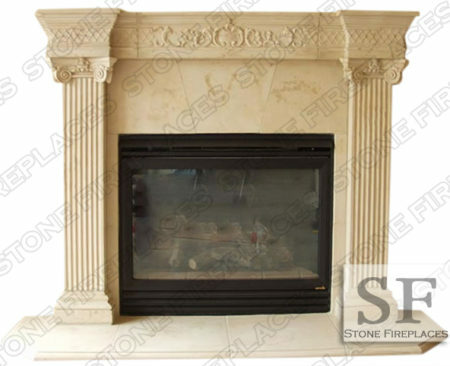 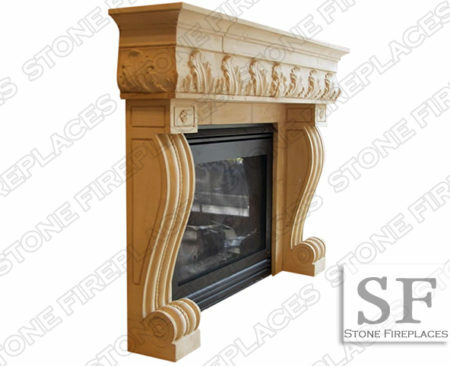 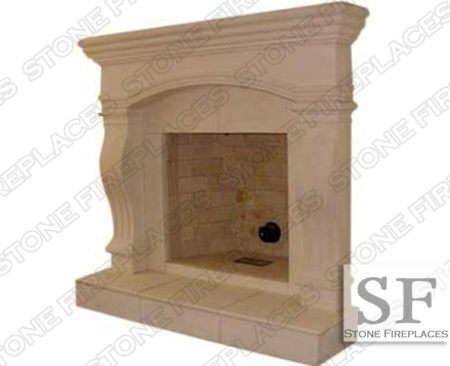 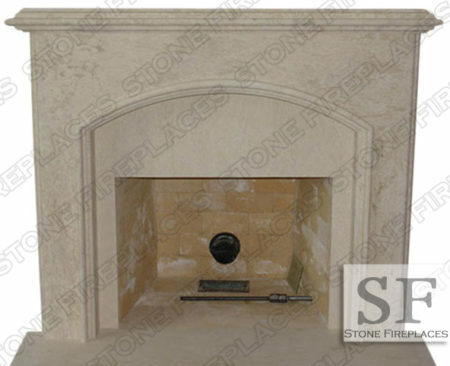 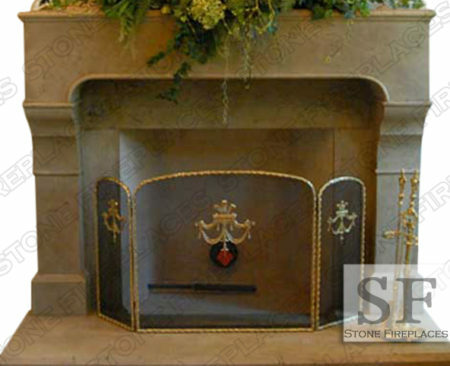 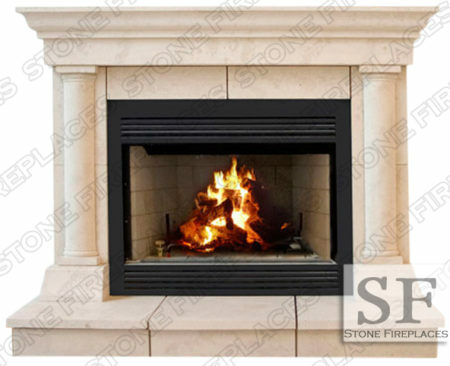 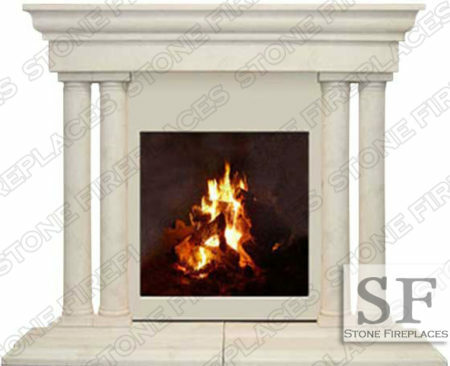 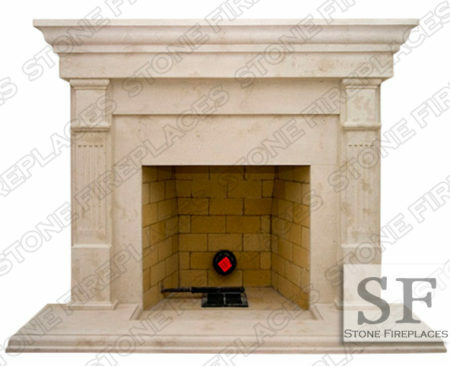 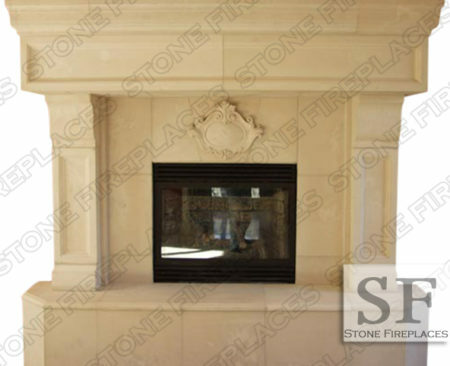 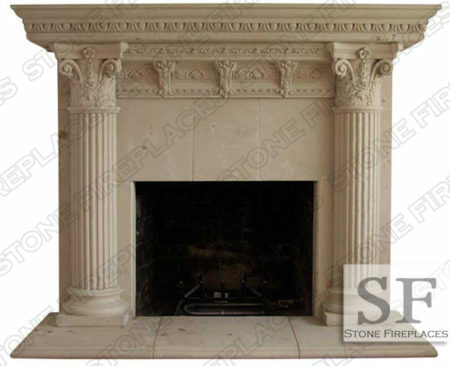 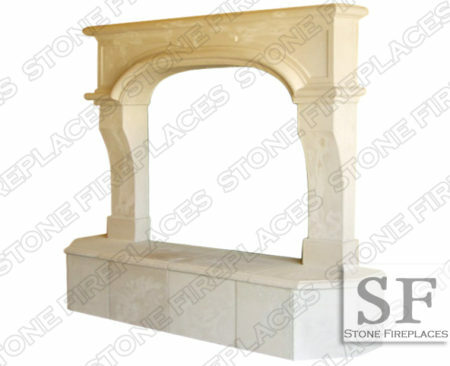 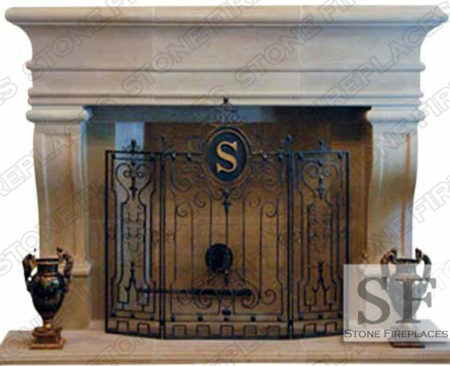 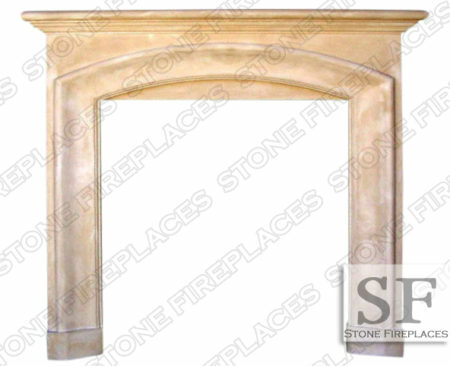 The Rustic Fireplace Surround is a lightweight column mantel made from our Cast Stone (sometimes called precast). 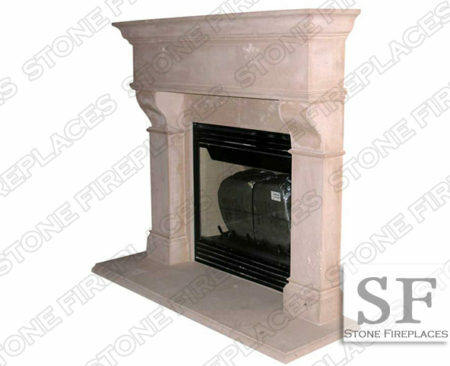 It is pictured in a textured cast stone limestone color. 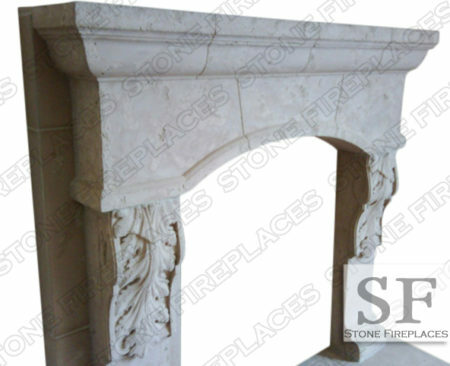 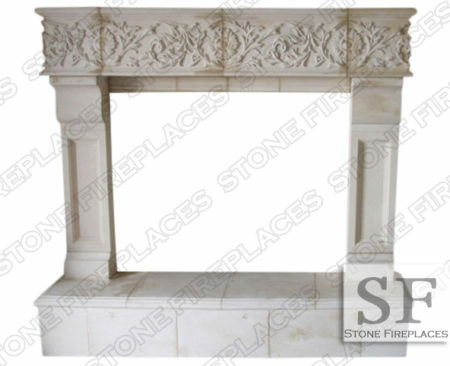 This fireplace is a traditional decorative design for your home. 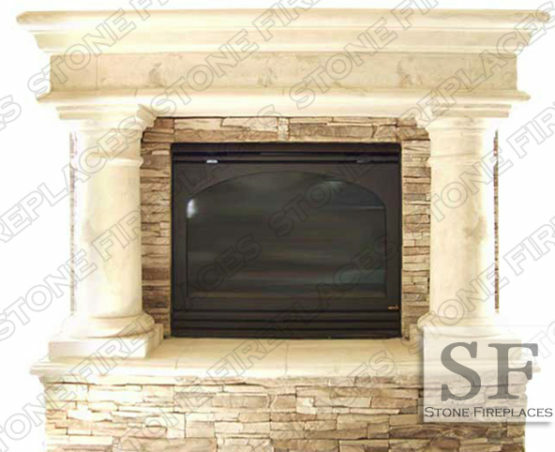 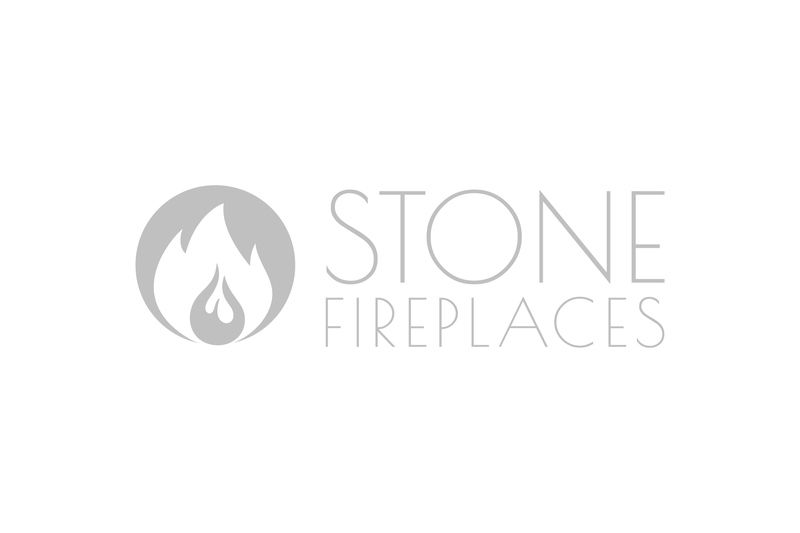 Cultured stone not included instead we provide filler panels made from the same material. 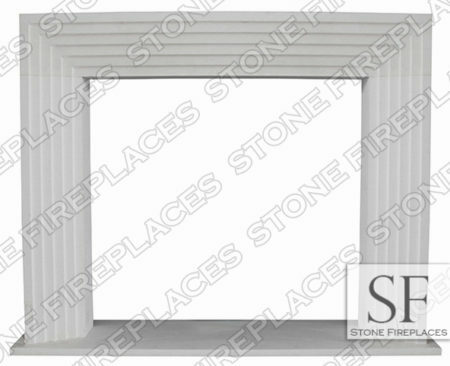 Firebox has glass covered opening. 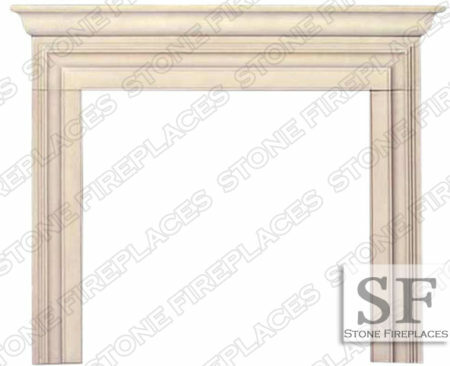 Mantel shelf can be made with step seam lines. 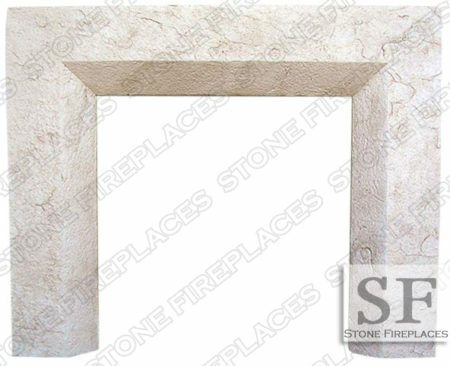 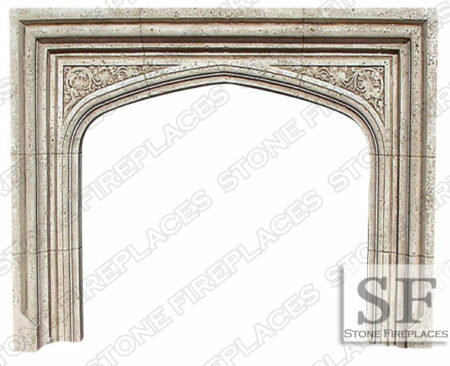 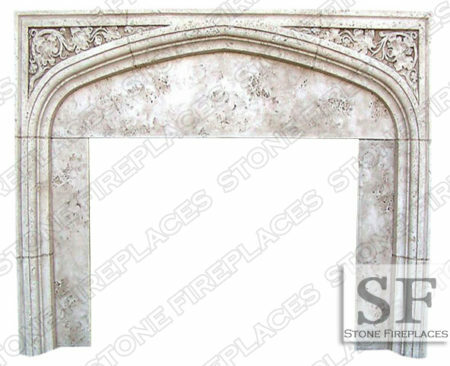 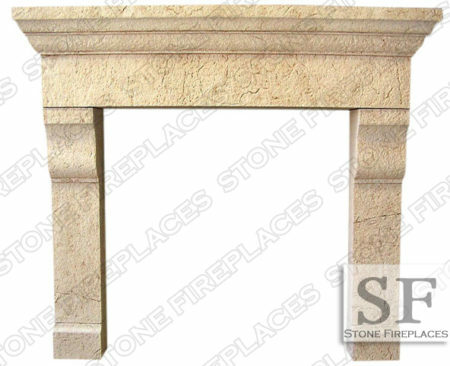 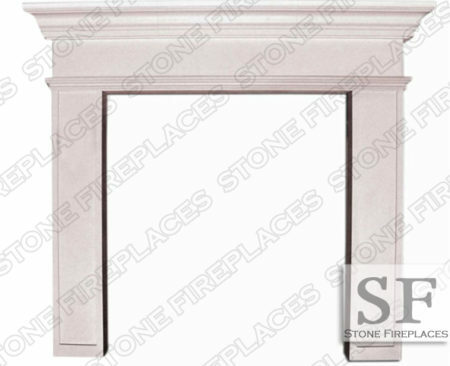 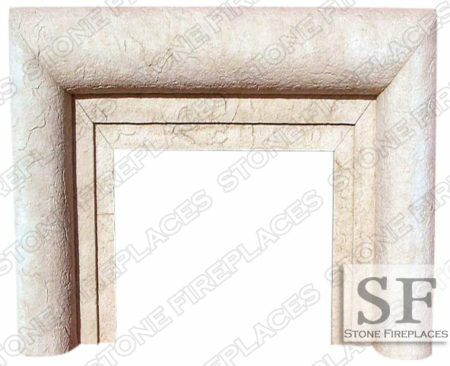 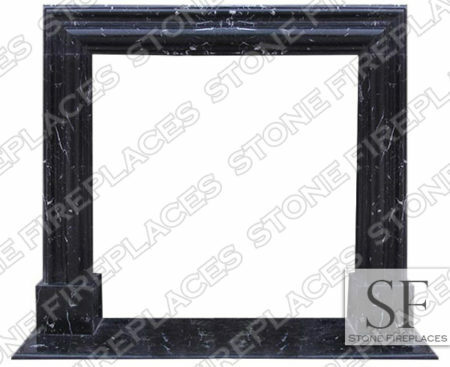 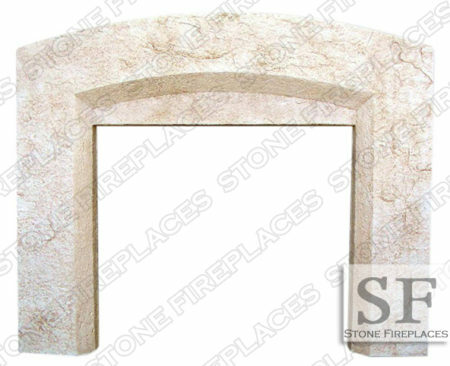 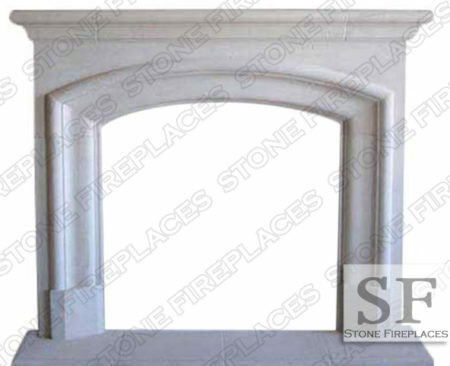 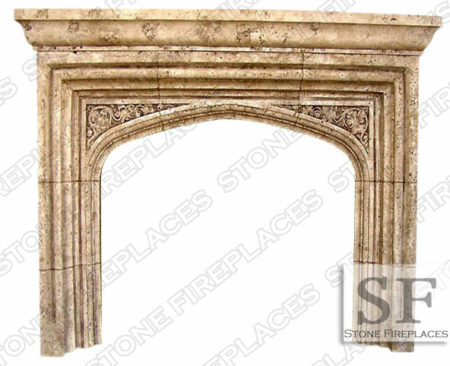 This surround facing looks great made from sandstone or limestone. 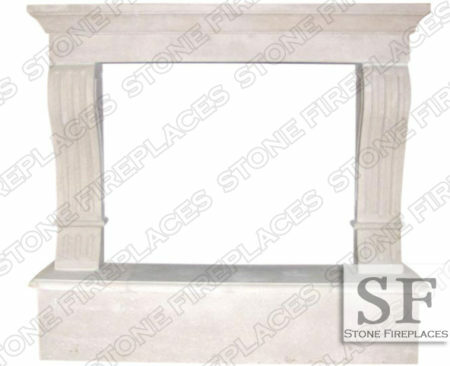 We also sell columns. 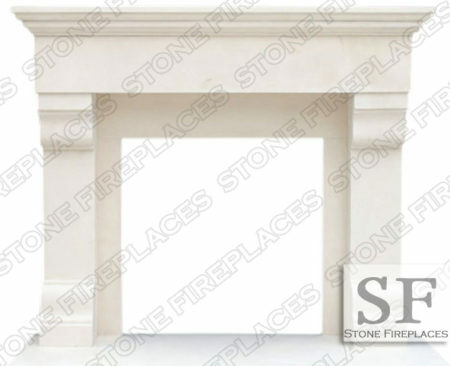 Give us a call for more information about columns.